We provide fast, secure and reliable freight shipping across Canada and the United States. 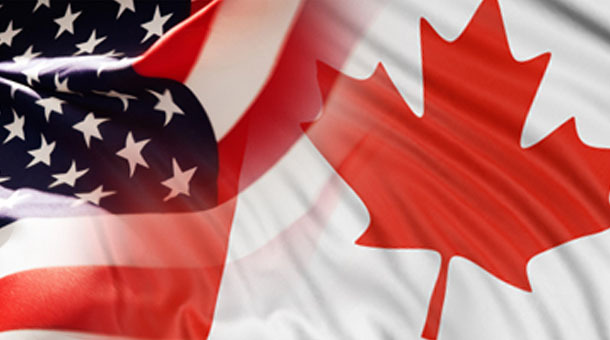 If you are shipping between Canada and the US it is important the carrier you use is experienced and qualified. Akita has over a decade of experience in cross border shipping and is Canada and USA Bonded and are C-TPAT certified. Trust your freight to our experienced and dedicated team that will make sure your freight is delivered safely, securely and on time. Coast to Coast from St. John's Newfoundland to Vancouver BC and all points in between. Akita Equipment will safely and securely pick up and deliver your freight anywhere in Canada. Our fleet of modern trucks and trailers are ready for any freight big or small. The sheer volume of cross-border shipping traffic means your freight can face any number of delays. Akita Equipment knows how to get your shipment across the border efficiently with complete, seamless services that save you time and make your job easier. Whether it's LTL, full load, vehicle transport and even oversized loads; Akita is equipped to pick up deliver freight shipments to all points in the lower 48 states. The right paperwork and permits will ensure your freight gets across the border as quickly as possible. Akita Equipment has the forms you need available whenever you need them. Akita Equipment has the latest equipment and experienced personnel who know how to deliver. Whether you're shipping common freight, LTL, or a full load or vehicles; Akita Equipment is your trusted bonded carrier for cross-border and shipments within Canada and the United States.